Many friends and family have asked how they can help. So we have decided to start a page to help all the family and friends that will be staying with Parker, and all travel expenses and anything else that may come up. SO.. with what is going on. About a month ago Parker had been having some pain in his leg and knee. He was taken to the walk in clinic, and we were told that it looked like a patella injury and to stay off for a little while. A week ago, he could not put any weight on it what so ever. He was taken to the ER at Island Hospital, and sent straight to Seattle Childrens. Here a week later we have pretty much felt like we have lived here. He has undergone numerous scans, and Wednesday a biopsy. With that came a diagnosis, of Osteosarcoma in his right leg with a femur fracture. Starting next week he will start chemo therapy. Parker will remain in Seattle for 30 weeks, while undergoing therapy as well as a big surgery between week 10-13. We ask for all your prayers and support during this very long and challenging process. 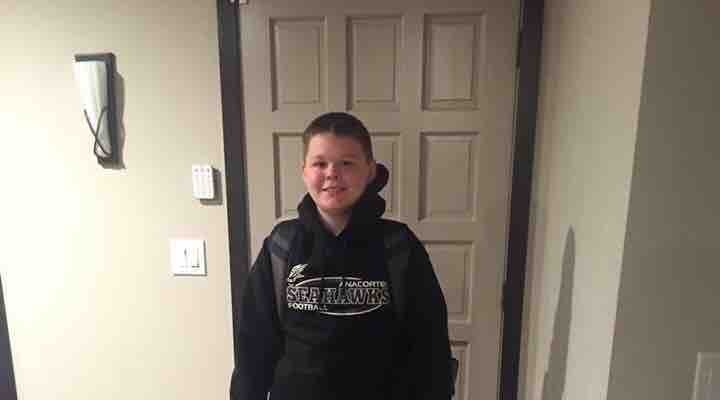 Parker is a very strong young man, and we will get him through a very tough situation. Parker had massive scans today, for his pre-op tomorrow.His amputation surgery has been pushed off by two weeks due to some complications from one of his treatments a few weeks ago. We have pre-op tomorrow and are very hopeful to get the results of all of those scans, and pray for great results. Parker’s amputation surgery is now scheduled for December 19th, and will be on a very long road for recovery. We thank you for the continued love and support, thoughts and prayers. 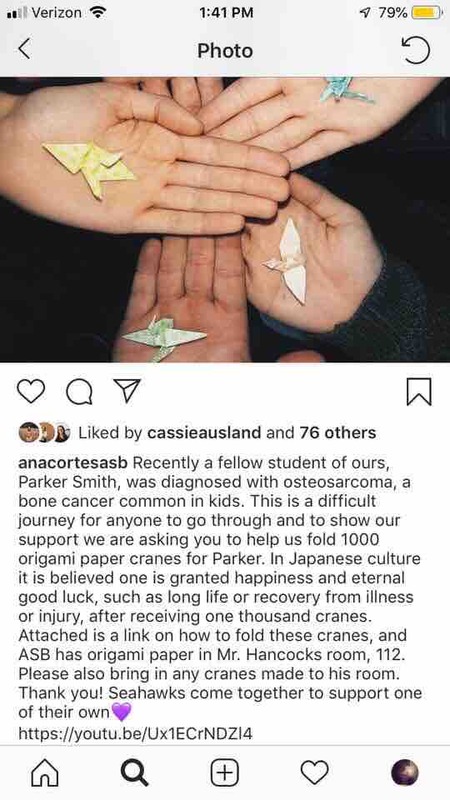 Last week Parker’s school put this out over Instagram. It takes a village, community, and the world to love a kid. We are beyond blessed to live in such an amazing community, to have such great support. 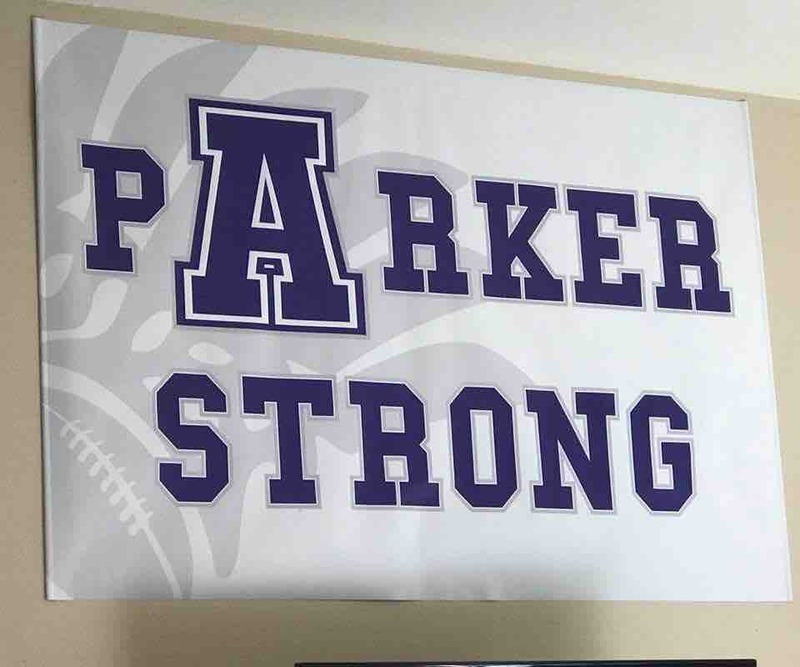 Thank you Bradley Moore, and Heather Monkman for this wonderful sign for Parker. It truly is amazing. We are so thankful for your support. Methotrexate is what kills the tumor. No side affects except the nausea we have already been battling.. He is hooked to IV fluids to push the Methotrexate out of his system. Parker seems to be taking everything very well. It was a very long night for this momma, watching a listening to the doors open often. Plus the darn alarms sounding every five seconds. Replace the batteries already!!! !